For this middle school I wanted to create an open and transparent learning environment that blends with natural ecologies. In section I intersected diagonal gathering steps and musical classrooms with lab spaces at their meeting points. On the south west arm which meets the landscape i created a shadow program beneath the science lab which acts as an environmental science lab. This space is both indoor and outdoor creating an educational juxtaposition between school and natural environment which allows students to detach from the built space and explore natural ecologies. 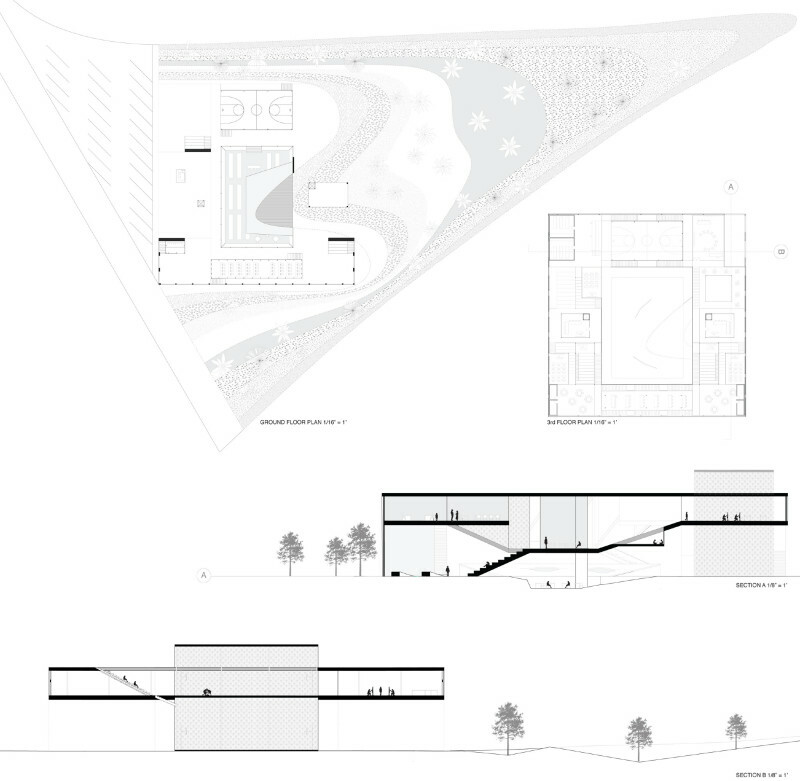 In the plan, there are varying ecological layers which change as the student ventures out further. On the north west face is a vertical computer lab which overlooks the central courtyard. In the courtyard a lifted green space contains a library beneath it which has openings for views and sunlight. 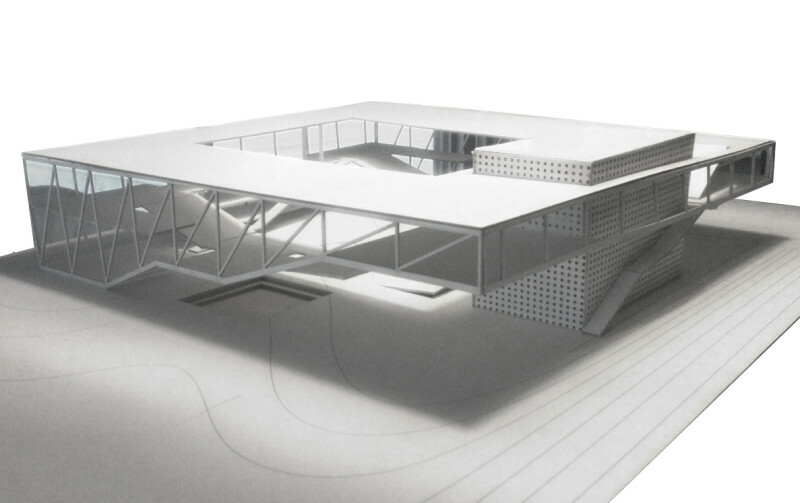 On the north west face a double story gymnasium supports the cantilever which contains open air bleachers and lockers on the north corner and an art studio which over looks the green space on the south corner. As the program wraps the courtyard with transparent materials on the core and exterior faces, the school as a whole creates a sense of unity between the students, curriculum and the environment.